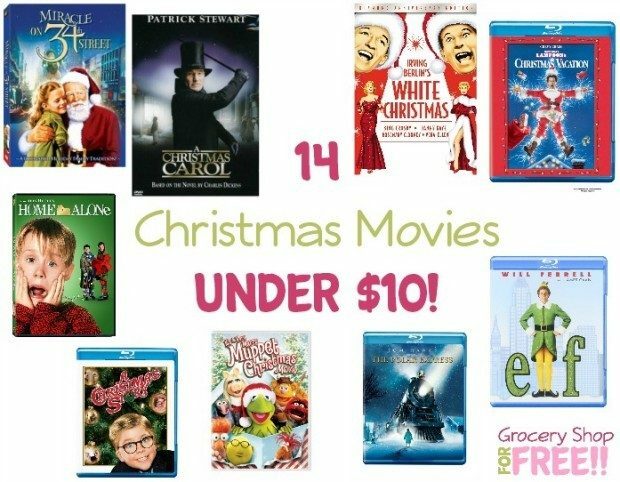 14 Christmas Movies Under $10! You are here: Home / Great Deals / Amazon Deals / 14 Christmas Movies Under $10! The Christmas season is upon us, and it’s the time of year when I love watching Christmas movies! 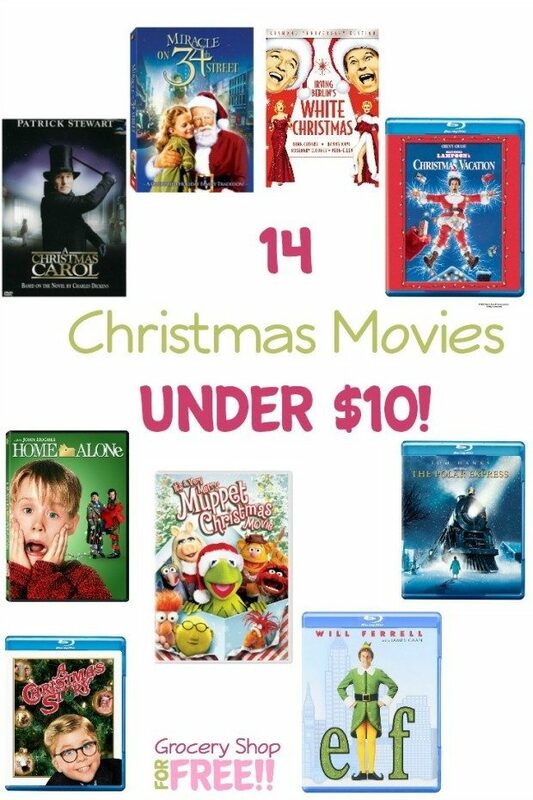 If you’re looking for some new or classic movies to watch on your own or with the family, we have a list of 14 Christmas Movies Under $10 for you! Arthur Christmas [DVD] – $3.99! Emmett Otter’s Jugband Christmas [DVD] – $3.99! The Polar Express [Blu-ray] – $7.99! It’s A Very Merry Muppet Christmas Movie [DVD] – $4.99! The Santa Clause [DVD] – $8.74! A Christmas Story [Blu-ray] – $7.99! Home Alone [DVD] – $8.96! Jingle All The Way [DVD] – $5! National Lampoon’s Christmas Vacation [Blu-ray] – $7.99! A Christmas Carol [DVD] – $9.99! Miracle on 34th Street [DVD] – $8.49! White Christmas (Diamond Anniversary Edition) [DVD] – $8! I hope you enjoy some of these as much as I do. For me it wouldn’t be Christmas without them!